Sun Warrior Raw, Vegan Protein Powder is the ultimate anti-aging protein designed for health enthusiasts of all types. It is ideal for those who want to lose fat, build muscle mass, or simply be extremely healthy and fit. 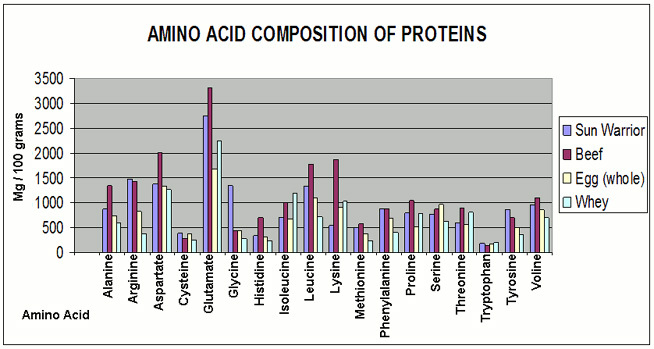 Most vegetable and rice proteins on the market today use a chemical non-holistic process that makes for a hard to digest un-natural protein, lacking in essential and non-essential amino acids (in particular Lysine). By using a unique natural holistic bio-fermentation process and by combining the sprouted endosperm and the bran from raw sprouted whole grain brown rice, Sun Warrior has conquered this challenge. The result of this amazing process is a massive increase in Lysine and essential and non-essential amino acids forming a perfectly balanced amino acid profile. At 80% pure protein, Sun Warrior has created the highest and first raw complete vegan, hypo-allergenic superfood protein on the market. Not only does it taste superb but it blends exceptionally well and is easy to digest. In fact our protein is so easy to assimilate that it has 98% correlation rate to mother’s milk and a 98.2% digestion efficiency rating making it one of the highest digestibility and efficiency ratings of any other protein source. Made with 80% protein, Sun Warrior has the highest (non soy) raw (not heated over 90 degrees Fahrenheit) whole grain sprouted vegan protein on the market. By using a third generation process, Sun Warrior has created the best tasting vegetable protein on the market that has a silky smooth texture that blends well and tastes great compared with other chalky and grainy vegetable proteins. Sun Warrior uses an old world process of combining the sprouted endosperm and the bran from raw sprouted whole grain brown rice. 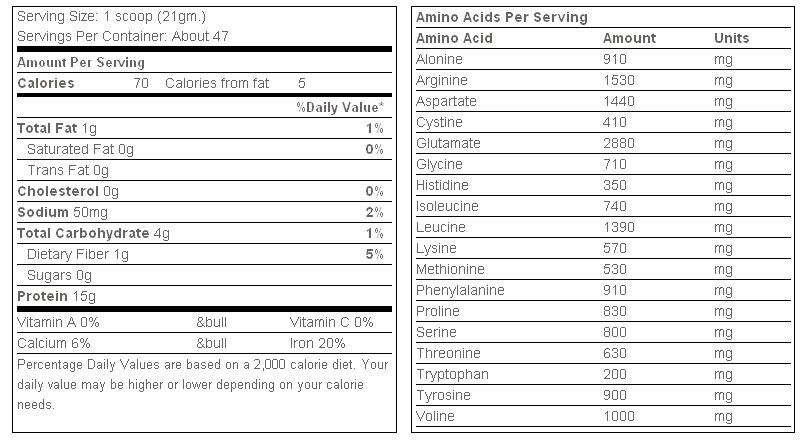 This unique process creates the first complete hypoallergenic protein which is made up of all 9 essential amino acids and other non-essential amino acids in a perfectly balanced amino acid profile. Sun Warrior has a 98% Correlation rate to Mothers Milk and a 98.2% digestion efficiency making it one of the highest digestibility and efficiency ratings of any other protein sources (compared to whey and soy). Sun Warrior is created with a low temperature natural enzyme process that does not use any chemicals or acid hydrolysis (like most proteins do). Sun Warrior Protein is naturally rich in vitamins and minerals and contains high amounts of antioxidants, tocopherols, tocotrienols and other essential nutrients — such as thiamin, riboflavin, niacin, phosphorous, iron and potassium. Using Sun Warrior increases the efficacy and absorption of vitamins and minerals. 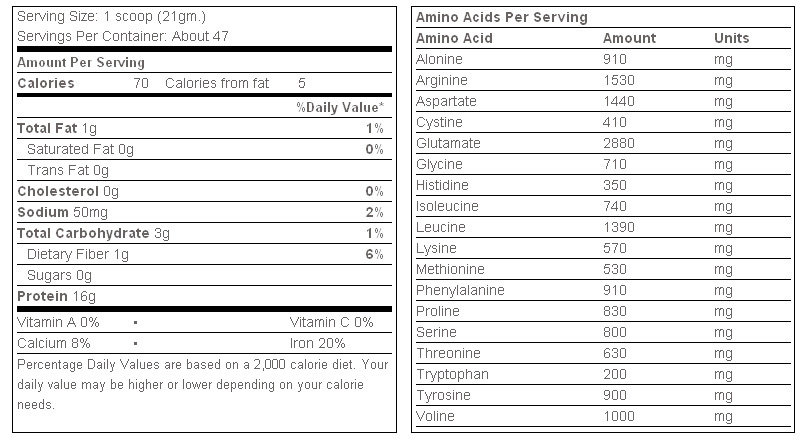 There has been a direct correlation between the use of Sun Warrior Protein and the absorption of vitamins. Because Sun Warrior Protein is so digestible it can be easily assimilated by infants, the elderly and adults. The World Health Organization may be using Sun Warrior Protein in the future to feed malnourished individuals because of the hypoallergenic profile and superior absorption that Sun Warrior has been shown to have. There is currently a clinical trial which shows promise that Sun Warrior Protein aids in the absorption of vitamins in AIDS patients. There has been a direct correlation between the use of Sun Warrior Protein and the absorption of vitamins in AIDS patients where other proteins do not provide such synergistic affects during the intake. Clinical studies in Japan have shown that including rice protein as a staple in a diet can act as a weight control vehicle. This is most specifically due to the superior absorption rates. Clinical studies have shown promise that Sun Warrior Protein has cholesterol lowering potential and the USDA is currently using Sun Warrior Protein in trials to see if it may help control high blood pressure. Unlike the extraction processes of other proteins, Sun Warrior's method of extraction uses neither chemicals nor acid hydrolysis. Sun Warrior uses organic enzymes during the process and our process is 100% organic compliant.